A multilingual bibliography of writings on avant-gardes in east-central Europe. For literature on individual authors see their respective pages. Orfeus: umělecký měsíčník, 3 numbers, eds. Ladislav Vladyka, Karel Teige (1), and Miloš Jirko (2-3), Prague, 1920-21. Stavba: měsíčník pro stavební umění, monthly, eds. Karel Teige (1923-28), Oldřich Starý (1928-37), Jan E. Koula (1928-37), et al., Prague: Klub architektů, 1922-38. Disk: internacionální revue, 2 issues, eds. Jaromír Krejcar, Jaroslav Seifert and Karel Teige, Prague: Devětsil, 1923-25. Pásmo: revue internationale moderne, 24 numbers, ed. Artuš Černík, Brno, 1924-26. ReD: měsíčník pro moderní kulturu, 30 numbers, ed. Karel Teige, Prague: Devětsil, 1927-31. Horizont: revue současné kultury v Československu, 38 numbers, eds. Jiří Kroha and Jaroslav B. Svrček, Brno: Václav Roštlapil, 1927-32. Index: leták kulturní informace, monthly, ed. Bedřich Václavek, Brno: Spolek Index, 1929-39. Zvěrokruh: měsíčník soudobého umění, 2 issues, ed. Vítězslav Nezval, Prague: Studentské knihkupectví, 1930. Levá fronta, weekly, ed. Stanislav Neumann, et al., Prague: Odeon and Průlom, 1930-33. Kvart: sborník poezie a vědy, bimonthly, ed. Vít Obrtel, Prague, 1930-37, 1945-49. Československá fotografie, 10 vols., Prague, 1931-1940. Volumes: Vol. 1, Vol. 2, Vol. 3, Vol. 4, Vol. 5, Vol. 6, Vol. 7, Vol. 8. Annual publication featuring modernist and pictorialist photography. Ekran: měsíčník pro moderní film a fotografii, 1 issue, ed. František Kalivoda, Brno: Vladislav Binder, 1934.
aka: časopis pro průmyslové umění, 2 issues, ed. František Kalivoda, Brno: Klub průmyslového umění, 1937-38. For literature on Czech Cubism and Cubo-Expressionism see dedicated page. Vladimír Birgus, "The New Objectivity and Constructivism in Czech Inter-War Photography", Imago 9 (Winter 2000). Nicholas Sawicki, "Writing the History of the ‘Czechoslovak Official Modern’: Karel Teige as Historian of the 'Cubist' Generation", Centropa 5:1 (2005), pp 4-15. Dawn Ades, "Ludic Experimentation by the Surrealist Group in Czechoslovakia, 1971–1985", Manifesta Journal 13, 2013. For literature about the School of Arts and Crafts see its dedicated page. Hungarian Studies Review 15(1): "The Early Twentieth Century Hungarian Avantgarde", ed. Oliver A.I. Botár, Spring 1988. Miklos von Bartha, "Carl Laszlo. Der Sturm. Die ungarischen Kunstler am Sturm, Berlin, 1931-32", Basel Galerie von Bartha, 1983. E.H. Sipos, "Hungarian Relations with Bauhaus and their Influence in Hungary", 1985. For writings on futurism, formism and constructivism specifically, see sections below. Jaroslaw Lubiak, Malgorzata Ludwisiak, Korespondencje: Sztuka nowoczesna i uniwersalizm/Correspondences: Modern Art and Universalism, Lodz: Muzeum Sztuki, 2012. Catalogue of a retrospective exhibition of the collection of Muzeum Sztuki and Kunstmuseum, Bern. Lech Kalinowski (ed. ), The Art of the 1920s in Poland, Bohemia, Slovakia, and Hungary, Cracow: International Cultural Centre, 1991. Proceedings from the Niedzica Seminars VI, 19-22 Oct 1989. TOC. Marci Shore, Caviar and Ashes: A Warsaw Generation's Life and Death in Marxism, 1918-1968, Yale University Press, 2006, 457 pp. Leon Chwistek, "Wielość rzeczywistości w sztuce" [The Plurality of Realities in Art], Maski 1-4 (Jan-Feb 1918); repr. in Przeglad Wspolczesny 9 (Apr-Jun 1924); repr. in Wielość rzeczywistości w sztuce i inne szkice literackie, 1960, pp 24-50; repr. in Wybór pism estetycznych, 2004, pp 3-20. (Polish) Chwistek proposed the theory of the "plurality of realities in art" as a reaction against the dualistic model of the avant-garde. Later on, in various interdisciplinary discussions about art, mathematics, poetry, architecture and politics, he argued against agitprop and the missionary stance of the avant-garde, in favour of an open, modern and transnational society. Tadeusz Peiper, "Metropolis. Mass. Machine." [Miasto. Masa. Maszyna. ], Zwrotnica 2, 1922. Manifesto, initial inspiration for Awangarda Krakowska literary group. Mieczyslaw Szczuka, Teresa Żarnowerówna, "Co to jest konstruktywizm" [What is Constructivism], Blok group manifesto, Blok 6-7, Sep 1924. Władysław Strzemiński, "B = 2", Blok no. 8-9, 1924. Presents a theory of unism. Henryk Berlewi, "Mechano-Faktura", 1924. Published in German by Der Sturm in Berlin and in Polish by Jazz in Warsaw (translated by K.J. Michaelsen). In retrospect, Berlewi placed his manifesto between Witkacy's "Nowe formy w malarstwie" (1919) and Strzeminski's "Unism w malarstwie" (1928). Julian Przyboś, "Człowiek w rzeczach"; "Człowiek nad przyrodą", Zwrotnica, 1926. Władysław Strzemiński, Unizm w malarstwie [Unism in Painting], Biblioteka Praesens, no. 3, Warsaw, 1928. Wtadysław Strzemiński, et al., "Komunikat Grupy 'a.r.'" [Communiqué of the Group ‘a.r.’], Europa, no. 9, 1930. Esther Levinger, "The Avant-Garde in Yugoslavia", The Structurist 29/30, 1990, pp 66-72. Esther Levinger, "Ljubomir Micic and the Zenitist Utopia", in Exchange and Transformation: The Central European Avant-Garde, 1910-1930, exh. cat. Los Angeles County Museum of Art, Los Angeles, Cal. 2002, pp. 260-278. Dubravka Đurić, "Radical Poetic Practices: Concrete and Visual Poetry in the Avant-garde and Neo-avant-garde", in Impossible Histories: Historic Avant-Gardes, Neo-Avant-Gardes, and Post-Avant-Gardes in Yugoslavia, 1918-1991, eds. Dubravka Đurić and Miško Šuvaković, MIT Press, 2003, pp 64-95. Darko Šimičić, "From Zenit to Mental Space: Avant-garde, Neo-avant-garde, and Post-avant-garde Magazines and Books in Yugoslavia, 1921--1987", in Impossible Histories: Historic Avant-Gardes, Neo-Avant-Gardes, and Post-Avant-Gardes in Yugoslavia, 1918-1991, eds. Dubravka Đurić and Miško Šuvaković, MIT Press, 2003, pp 294-331. Г. Тешић, Српска књижевна авангарда. Књижевноисторијски контекст (1902–1934), Belgrade: Институт за књижевност и уметност - Службени гласник, 2009, 618 pp. Review. Branko Ve Poljanski, "Manifesto", Svetokret, 1921. Ljubomir Micić, "Man and Art", Zenit, 1921. Ljubomir Micić, "The Spirit of Zenithism", Zenit, 1921. Ivan Goll, "Expressionism is Dying", Zenit, 1921. Ljubomir Micić, "Šimi na groblju latinske četvrti, Zenitistički Radio-Film od 17 sočinenija" [Shimmy at the Latin Quarter Graveyard, Zenitist Radio-Film in 17 Parts], Zenit, 1922. In his prose text, Micić used constructivist and montage principles of cinema. He christened this new narrative structure "radio-film". Ljubomir Micić, "A Categorical Imperative of the Zenithist School of Poetry", in The Rescue Car, 1922. Ljubomir Micić, Zenithism as the Balkan Totalizer of New Life, manifesto, Zenit, 1923. 1920, poet Anton Podbevšek develops his program along anarchist proletcult lines for the journal Rdeči pilot. Avgust Černigoj, "Greetings! ", tank, 1927. Mirko Polić, "Marij Kogoj's Black Masks", tank, 1927. Ferdo Delak, "Theater Co-op", tank, 1927. Avgust Černigoj, "Tank Manifesto", tank, 1927. Avgust Černigoj, "The Constructivist Group in Trieste", tank, 1927. Marinetti’s Futurist Manifesto published in Romanian in Craiova in a local newspaper (Democratia), on the same day (20 February 1909) as in the Parisian Le Figaro. Marcel Janco, "Notes on Painting", Contimporanul, 1922. Marcel Janco, "Art Notes", Contimporanul, 1924. Ilarie Voronca, "Victor Brauner", 75HP, 1924. Ion Vinea, "Activist Manifesto to the Youth" [Manifest activist către tinerime], Contimporanul 46, May 1924. Ilarie Voronca. Untitled statement, 75HP, 1924. Victor Brauner and Ilarie Voronca, "Pictopoetry", manifesto, 75HP, Oct 1924. Ilarie Voronca, "Assessments", Punct, 1924. Scarlat Callimachi, "The Contimporanul Exhibition (Notes)", Punct, 1924. Tudor Vianu, "The First Contimporanul International Exhibition", Miscarea literara, 1924. Ilarie Voronca, "Marcel Janco", Punct, 1924. Max Herman Maxy, "Visual Chrono-metering", Contimporanul, 1924. Felix Aderca, "Conversations with Lucian Blaga", Miscorea literara, 1925. Ilarie Voronca, "Gramatica" [Grammar], Punct, no. 6-7, Jan 1925. Ilarie Voronca, "Voices", Punct, 1925.
editors of Integral, "Man", Integral, Vol. 1, No. 1, March 1925. Ilarie Voronca. "Surrealism and Integralism", Integral, 1925. Mihail Cosma, "De la futurism la integralism" [From Futurism to Integralism], Integral, no. 6-7, Oct 1925. Corneliu Michailescu, "Black Art", Integral, 1925. Mililsa Petrascu, "Note about Sculpture", Contimporanul, 1925. G. C. Jacques, "Initiation in the Mysteries of an Exhibition: The Sensational Pronouncements of Militsa Petrascu and Marcel Janco", Contimporanul, 1926. Marcel Janco, "Cubism", Contimporanul, 1926. Marcel Janco. "Coloring", Contimporanul, 1927. Geo Bogza, "Urmuz", Urmuz, 1928. Irina Livezeanu, "'From Dada to Gaga': The Peripatetic Romanian Avant-Garde Confronts Communism", 2005. Contimporanul. Istoria unei reviste de avangarda?, Bucharest: Institutul Cultural Roman, 2007. Roland Prügel, Im Zeichen der Stadt. Avantgarde in Rumänien 1920–1938, Cologne/Weimar/Vienna: Böhlau, 2008, 270 pp. (German). , Review. Irina Livezeanu, "Romania: 'Windows toward the West': New Forms and the 'Poetry of True Life'. Revista celor l'alti (1908); Insula (1912); Chemarea (1912); Contimporanul (1922-32); 75 HP (1924); Punct (1924-5); Integral (1925-8); Urmuz (1925); and unu (1928-33)", in The Oxford Critical and Cultural History of Modernist Magazines. Volume III, Europe 1880-1940, eds. Brooker, Bru, Thacker, and Weikop, Oxford University Press, 2013, pp 1157-1183. In 1913, the Vilnius daily Przegląd Wileński (No. 48-49) reprinted F. T. Marinetti’s Manifesto of Futurism. Mai Levin, "The Group of Estonian Artists", Estonian Art 2/01. Vojtěch Lahoda, "Extended Modernity / Avardunud modernism", pp 84-105. Andrew J Horton, "Avant-garde Film and Video in the Czech Republic", Central European Review (October 1998). Michael Bielický, "Prague–A Place of Illusionists" in: Future Cinema. The cinematic Imaginary after Film, edited by Jeffrey Shaw and Peter Weibel, exhib. cat., The MIT Press, Cambridge, MA/London, 2003. Milan Čihák, "Český amatérský film", n.d. (Czech). Ján Adamove, Svet je obraz a zvuk (rozprávanie o rozprávaní experimentálneho filmu). Ján Adamove, Ó súcit majte, dovoľte mi byť iným: Experiment a štylizácia reality v audiovizuálnej kultúre na Slovensku. György Gerő, "Film", Dokumentum, January 1927. Republished in Filmvilág, Sep 1987, pp 8-10. Film / Művészet: A magyar kísérleti film története. Budapest, 1983. Miklós Peternák (ed. ), F:I.L.M. A magyar avantgarde film története és dokumentumai. Budapest: Jelenkor, 1991. Gábor Gelencsér (ed. ), Mozgóképkultúra és médiaismeret. Szöveggyűjtemény, Budapest, Korona, 1998. Andrew J Horton, "Avant-garde Film and Video in Poland", Central European Review, November 1998. Sheila Skaff, The Law of the Looking Glass: Cinema in Poland, 1896-1939, Athens, Ohio: Ohio University Press, 2007. Lukasz Ronduda, "The Films of Polish Women Artists in the 1970s and 1980s: From the Archive of Polish Experimental Film". Violetta Kutlubasis-Krajewska, Piotr Krajewski (eds. ), Widok 1: "From Absolute Cinema to Future Film. Materials from the history of experiment in the moving picture art", Wroclaw: WRO Art Center, 2009. Alternativni film u Beogradu od 1950. do 1990. godine [Elektronski izvor] : vreme kino klubova : zbornik priloga za buduća istraživanja / [priredio] Miroslav-Bata Petrović. - Novi Beograd : Dom kulture „Studentski grad“, Arhiv alternativnog filma i videa, 2009 (Beograd : Pink digital system). - 1 elektronski optički disk (DVD) : tekst, slika; 12cm. - (Biblioteka „Istorija alternativnog filma“), ISBN 978-86-7933-052-9. George Sabau, "Contextual history of Kinema Ikon", 2005. Claus Löser, "Media in the Interim: Independent Film in East Germany before and after 1989", in Randall Halle, Reinhild Steingroever (eds. ), After the Avant-Garde: German and Austrian Experimental Film, Camden House, 2008. Randall Halle, Reinhild Steingroever (eds. ), After the Avant-Garde: German and Austrian Experimental Film, Camden House, 2008. Super-8 filmmaking in GDR, [Super8.log], 2008-. Wolfgang Gersch, "Film in der DDR. Die verlorene Alternative", in Wolfgang Jacobsen (ed. ), Geschichte des deutschen Films, Anton Kaes u. Hans Helmut Prinzler. Stuttgart: Verlag J.B. Metzler, 1993. pp 323-364. "Historia polskiego performance", Wikipedia PL. Branislav Jakovljević, Alienation Effects: Performance and Self-Management in Yugoslavia, 1945-91, University of Michigan Press, 2016, xii+369 pp. Explores aspects and relations between artistic and economic performances in Yugoslavia, such as self-management, socialist aestheticism, conceptual art, theoretical Marxism, performance art and political performances. Ileana Pintilie, "The Dilemmas of Artistic Transition in Post-Communism. Performance art in Romania at the Beginning of the '90s", in Zone 3 Catalogues, Timişoara, 2000; repr. in Periferic 4, Iaşi, 2000. Ileana Pintilie, "Performance art in Romania in the '90s (Rumunska umetnost performanse devedesetih)", Artcontext, Apr 2001; repr. in Vrsac 1. See also magazine Psí víno. Josef Hiršal, Bohumila Grögerová, Let let: Pokus o rekapitulaci, 3 vols., Prague: Rozmluvy, 1993-94; repr., Prague: Torst, 2007, 1046 pp. Memoir covering the years 1952-68. Review: Karfík (Respekt). "Laboratoře básnického experimentu", in Dějiny české literatury 1945-1989, vol. 3: 1958-1969, ed. Pavel Janoušek, Prague: Academia, 2008, pp 232-242. See also magazines Kloaka and Enter. Ştefan Bertalan, "Fragments of a Possible Program", Arta 8 (1970). David Crowley, Daniel Muzyczuk, Sounding the Body Electric: Experiments in Art and Music in Eastern Europe 1957-1984, Łódź: Muzeum Sztuki, 2012. J. Stanislav, L. Kuba, Prague, 1968. Vladimír Lébl, "M. Grygar", Hudebni rozhledy, 1971, 9; Electronic Music Reports, Utrecht 1971; Jazz Bulletin, 1979, 9. J. Doubravová, "Music and Visual Art: Their Relation as a Topical Problem of the Contemporary Music in Czechoslovakia", International Review of the Aesthetics and Sociology of Music, 11(2), 1980, pp 219-228. Jiří Zemánek, Milan Grygar, Obraz a zvuk, Prague, 1999. Catalogue. Alois Piňos, Ivo Medek, Multimedial Scene of Brno, Brno: JAMU, 2005. J.Berg, Alois Piňos, "History of Music Experiment in Czech and Moravia", 1967. J. Kapr, "Constants, Outline of Personal Method of Specific Signs of Composing Selection" (Konstanty, nástin metody osobního výběru zvláštních znaků skladby), Prague: Panton, 1967. Z. Vostřák, "Kapitoly z hudební poetiky" [Lectures on Music Poetics], Konfrontace 1 (1969), pp. 6–13. J. Kapr, "Teorie naznačování a vychylování" [Theory of Indication and Variation], Hudební rozhledy, 1970, pp 358–365, 417–422. J. Ludvová, Matematické modely v hudební analyse, Prague: Supraphon, 1975. Rudolf Růžička, Využití samočinných počítaču při vzniku umělecký děl se zvláštním zaměřením na hudbu a soudobou kompozici, Brno: JAMU, 1980. Josef Gerbrich, Rudolf Růžička, Jiří Stehlík, "The computer musical compositions in Czechoslovakia", International Computer Music Conference 1984, Paris, 1984, pp 230-231. Jan Jirásek, "Changes in the Semantic Relationships Among Basic Musical Parameters and Their Perspektive in EAM", a lecture given in Graz, Opus musicum, Brno, 1988. Rudolf Růžička, "Perspektivy počítačové umělecké tvorby a jejího společenského uplatnění", Opus musicum 3, 1989, pp IV-VI. Vladimír Lébl, "Brno in Sixties", Opus musicum 6 (1990), Brno. Alois Piňos, "Zum Princip der Latenz in der zeitgenössischen Musik", in Otto Kolleritsch (ed. ), Musikalische Gestaltung im Spannungsfeld von Chaos und Ordnung , UE Wien, N. 26823m, 1991, pp 103–113. Lenka Dohnalová, "Electro-acoustic music in Czech Republic", Aesthetica 19 (2000). Electroacoustic Music and Selected Concepts of Radio Art, Saarbrücken: PFAU, 2010. Martin Flašar, "The East of the West: The conditions under which electroacoustic music existed in Czechoslovakia, 1948-1992", EMS08, 2008. Conference paper. Rudolf Růžička (ed. ), "Bibliografie o české a slovenské počítačové hudbě". Ivan Stadtrucker, "Novy elektronicky hudobny nastroj", Hudba a zvuk, Bratislava/Praha, 1967. Michal Murin (ed. ), Sound Off 1997: The Piano Hotel, Bratislava: SNEH, 1997. CD-ROM. Sound Off 1998: Husle/Hegedű/Violin, Bratislava: SNEH, 1998. Jozef Cseres (ed. ), Sound Off 1999/2000: Beams & Waves, Bratislava: SNEH, 2000. With audio CD. Jozef Cseres (ed. ), Sound Off 2002: Typewriting Aloud, Typoxxs Allowed, Nové Zámky: HEyeRMEarS DISCORBIE, 2002. Catalogue, with audio CD. Cynthia E Bylander, The Warsaw Autumn International Festival of Contemporary Music, 1956-1961: Its Goals, Structures, Programs, and People, The Ohio State University, 1989. PhD thesis. Krzysztof Szlifirski, "Electroacoustic music in Poland. Brief history and present time situation", 1993. Lisa Marie Jakelski, The Changing Seasons of the Warsaw Autumn. Contemporary Music in Poland, 1960-1990, Berkeley: University of California, 2009. PhD thesis. Krzysztof B. Marciniak, "The acoustic ecology in Poland: history – current trends – perspectives", in The Global Composition 2012, Conference on Sound, Media, and the Environment edited by Sabine Breitsameter and Claudia Söller-Eckert, Darmstadt 2012, pp 191-199. Mirjana Veselinović-Hofman, "Stvaralačko prisustvo evropske avangarde u nas" [The Creative Presence of the European Avant-Garde in Serbian Music], Belgrade, Univerzitet umetnosti, 1983. Vladan Radovanović, Vokovizuel (Vocovisual), Belgrade, Nolit, 1987. Mirjana Veselinović-Hofman, "Fragment o muzičkoj postmoderni" [Fragment on Musical Postmodernism], Novi Sad, Matica srpska, 1997. Melita Milin, "Serbian Music of the Second Half of the 20th Century: From Socialist Realism to Postmodernism", in: Katy Romanou (ed. ), Serbian and Greek art music: a patch to Western music history, Intellect Books, 2009, pp 82-97. Vladan Radovanović, Muzika i Elektroakustička Muzika, Izdavačka knjižarnica Zorana Stojanovića, Novi Sad, 2010. Aurel Stroe, Grădina sunetelor - eseuri despre muzică [Sound Garden - Essays on Music], Bucharest: Muzicală, 1991. Simo Lazarov, "Composing and Performing Computer Music By Using Personal Computers", PhD thesis, 1991. Technical University in Sofia. Jurij Dobriakov, "Experimental electronic music and sound art in Lithuania", Eurozine, 2007. Vít Havránek, "Laterna Magika, Polyekran, Kinoautomat", in Future Cinema. The Cinematic Imaginary after Film, ZKM and The MIT Press, 2003. Zdeněk Sýkora, J Blažek, "Computer-Aided Multi-element, Geometrical Abstract Paintings", Leonardo 3 (1970), p 409. Computer Graphics Art. Zdeňka Čechová, Daniel Fischer, Zdeněk Frýbl, Jozef Jankovič, Miroslav Klivar, Jan Moučka, Prague, 1982. Catalogue. Jankovič - Grafika, exhibition catalogue. With texts by Naďa Reháková and Imrich Bertók. Liberec: Oblastní galerie, 1984. Adrian Rogoz, "Arta Programativã", Stiinta si Technica, Bucharest, June 1970. Viktor Ernest Maşek, Arta şi matematica. Introducere în estetica informaţională, Editura Politică, Bucureşti 1972. The first Romanian text applying Max Bense's aesthetic theories to semiotics of visual art. 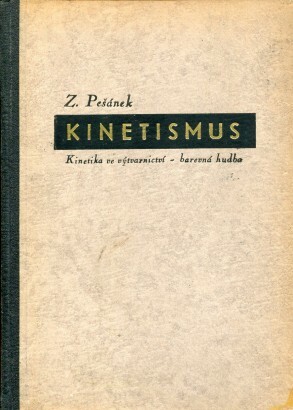 The book is based on his PhD thesis, "Introducere în estetica informaţională", 1971. Viktor Ernest Maşek (ed. ), Estetică, informaţie, programare [Aesthetics. Information. Programming], Editura Ştiinţifică, Bucharest 1972, 216 pp. Anthology comprising important texts by A. Moles, M. Bense, H. Frank, S. Maser, K. Alsleben, but also Mihai Dinu, Cezar Radu, Stefan Niculescu, and others. Mihai Nadin, Elements of Meta-Aesthetics, Eminescu, Bucharest, l972. Abraham Moles, Artă şi ordinator [Art and Computer], Editura Meridiane, Bucharest 1974. Classic book translated to Romanian. Radu Bagdasar, Informatica Mirabilis - Arta şi Literatura de calculator [Computer Art and Literature], Editura Dacia, 1982. Solomon Marcus (ed. ), Semiotica matematică a artelor vizuale [Mathematical Semiotics of Visual Arts], Editura Ştiinţifică si Enciclopedica, Bucharest 1982, 409 pp. Contains two substantial texts in the field of the computer–art relationship, namely, Mihai Jalobeanu, "Imaginile, producerea si prelucrarea lor cu sistemele actuale de calcul" [Images, their Production and Processing with today's Computing Systems] and Mihai Brediceanu, "Timpul polimodular în artele vizuale" [Polimodular Time in Visual Arts]. pamphlet accompanying 'Art and Computer' exhibition, 1985. Text by Horia Medeleanu. In one of the biggest and well-known daily newspapers “Narodna Mladej” (Peoples’ Youth) with approx. 100 000 daily issues circulation, Rosen Petkov, promoted electronic arts (ca 1987 ). “Mlad konstruktor” (The Young Developer) magazine and “Grafika s komputar” (Computer Graphics) magazine were other well known media where Mr. Petkov presented the electronic music and computer graphics achievements during that time. Michael Bielický, "Praga Caput - Praga Caput Medii". The World of Video, first comprehensive collection of translated articles covering the field of video, providing information about the international developments of almost twenty years of video art and video theory, 1983. Szilvia Seres, Miklós Peternák (eds. ), History and archive of video art in Hungary 1972-2000, Budapest: C3, n.d. Online archive. R. W. Kluszczynski, "Video Art in Poland. An Historical Outline", in Ostranenie. 1. International Video Festival at the Bauhaus Dessau, catalogue edited by Inke Arns and E. Tharandt, pp 148-152. Ryszard W. Kluszczynski, Anatoly V. Prokhorov, "Video art in Poland. An historical outline". Ryszard Kluszczynski, "New Poland - New Video. Some reflections on Polish video art since 1989", translocation_new media/art, 1999. Ryszard Kluszczynski, "An Outline History of Polish Video Art". Piotr Krajewski, Violetta Krajewska (eds. ), From Monument to Market: Video Art and Public Space, Wroclaw: WRO Art Center, 2005. Violetta Kutlubasis-Krajewska, Piotr Krajewski (eds. ), From Absolute Cinema to Future Film. Materials from the history of experiment in the moving picture art, Wroclaw: WRO Art Center, 2009. Marijan Susovski, "Video u Jugoslaviji", Spot 10, Zagreb 1977. Raša Todosijević, Video, Videosfera: video/društvo/umetnost ("The Video: Videosphere: video/society/art"), Studentski izdavački centar, ed. Mihailo Ristić, Belgrade, 1986. Mihailo Ristić (ed. ), Video, Videosfera: video/društvo/umetnost [The Video: Videosphere: video/society/art], Belgrade: Studentski izdavački centar, 1986. Anthology of theoretical texts about video, including contributions from video-makers. Barbara Borčić, "Video Art from Conceptualism to Postmodernism", in Impossible Histories: Historical Avant-Gardes, Neo-Avant-Gardes, and Post-Avant-Gardes in Yugoslavia, 1918-1991, eds. Dubravka Djurić and Miško Šuvaković, MIT Press, 2003, pp 490-524, PDF. Dejan Sretenović, "Video Art in Serbia". POGLED /VIEW/ series, Centre for Contemporary Art, Belgrade, 1999. Vera Horvat Pintarić (ed. ), Televizija danas/Television Today, Zagreb, 1972. Includes texts on the first video experiments. Stane Bernik, 1973, in Sinteza magazine he defined video art as an experiment and as a creative experience of contemporary fine art expression. This marked the beginning of discussions about video as a new medium in texts. Ekran magazine published a historical overview of tendencies in video, including a selected bibliography, edited by Brane Kovič, 1977. Bogdan Lešnik wrote in Ekran magazine, 1979, about video technology and procedures, and about video as `a medium whose specific conditions place it in the sphere of art and thus deprive it of political alertness'. Dušan Mandić, text in Viks, a ŠKUC-Forum bulletin, 1983. Mandić wrote about the new codes of signification, and highlighted the difference between the formalistic approach to video in the `70s and the mass dimensions and social engagement of the audio-visual video explorations of the `80s. Brane Kovič edited a thematic supplement on video for Ekran magazine, no. 1-2, Ljubljana, 1984. In addition to a text by Dušan Mandić, "ŠKUC-Forumova video produkcija", it was dedicated to the pioneer of video production, Nam June Paik. The joint issue of Ekran and Sinteza in 1986 published the hitherto largest number of texts by domestic and foreign authors about video art, its history and relationship with television and design. Marina Grzinic, "Video From Slovenia", Variant 11, 1992, pp 22-25. Igor Španjol, "An artistic evening: television presentation and production of art video", in: Videodokument: Video Art in Slovenia 1969-1998, ed. Barbara Borčić, SCCA-Ljubljana, Ljubljana, 1999. Zemira Alajbegović and Igor Španjol, "In the tehnological grip of a television station: an interview with Miha Vipotnik", in: Videodokument: Video Art in Slovenia 1969-1998, ed. Barbara Borčić, SCC – Ljubljana, Ljubljana, 1999.
Review by Geert Lovink, "Video in Osteuropa, Rossen Milev", in: Mediamatic, Vol. 7 # _, 1994, p. 342. Renata Dubinskaitė, "The Artist's Roles in Lithuanian Video Art in 1990-2003", Athena: Philosophical Studies 3 (2008), pp 156-172. Raivo Kelomees, text on video art in Estonian, Kunst, 1988. Michaela Sečanská, "Elektronické umenie na Slovensku po roku 1990", Trnava: Trnavská univerzita, Fakulta humanistiky, Katedra dejín umenia a kultúry, 2004. Master thesis. Consultant: Zora Rusinová. Andrzej Gwóźdź (ed. ), Między obrazem a narracją. Szkice z teorii telewizji, „Wiedza o Kulturze”, Wrocław, 1990, s. 110. Aleksandra Kaminska, Mediating Poles: Media Art and Critical Experiments of the Polish Site, 2004-2009, Toronto: York University, 2012. PhD Thesis. Tom Bass, "A Travellogue from the Balkan", Telepolis, 19 Jun 1997. Darko Fritz, "A Brief Overview of Media Art in Croatia (Since 1960s)", Culturenet.hr, 2002. Calin Dan, "Media Arts Get Media Free: A Small Anthology of Older Views", in: Transitland: Video Art From Central and Eastern Europe: 1989-2009, 2009. Iliyana Nedkova, "Inside Out. Curating the New Media Culture of Bulgaria", 2001. In: Communication Front 2000 Book, Crossing Points East-West. Rupert Francis, "A view of the growing Bulgarian electronic art scene by an outsider looking in", 2001. Maria Vassileva, "Progress of Media Arts in Bulgaria", Goethe-Institut, 2012. Acoustic space, 1998 and 1999. Net audio publications. Both issues are collections of net activists writtings, presentations and interviews focusing on subjects of networking, media culture theory, models of collaboation and exchanging experience in technological and creative process. Both issues are complemented by presentation of on media culture projects in Latvia and projects developed by international collaborative organisations and individuals. Katrin Kivimaa, "Eine Identität or Keine Identität: Zeitgenössische Kunst und Neue Medien in Estland", Springerin 1999 (German), 5 pages. This page was last modified on 20 April 2019, at 11:42. This page has been accessed 650,014 times.